The quality of education in any given city is a significant factor that needs to be considered by anyone who wants to relocate, especially if those who are moving have children or are thinking of pursuing further studies. 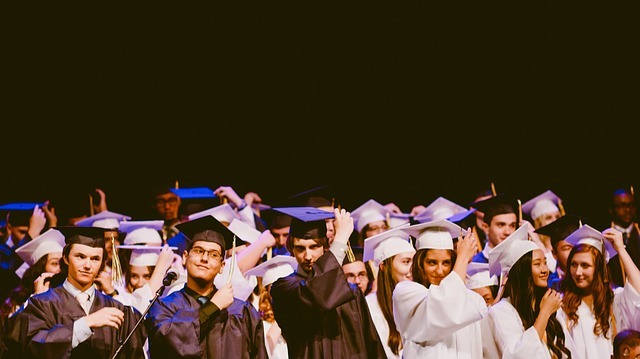 For parents who are planning to move to a new city, it is important to know what school options are available for your children and which of these would best provide the quality of education that you are looking for. 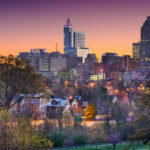 If you are keen on moving to Winston-Salem, NC, we have prepared a list of the best middle schools, high schools, colleges, and universities in this location to help you with your search. Meadowlark Middle School ranks first out of 36 middle schools in Winston-Salem and surrounding areas and 42nd out of 700 in the state of North Carolina. This school is located in Forsyth County, NC and serves 1,170 students from grades 6 to 8, with a student-teacher ratio of 17 to 1. According to state test scores, 60% of students are proficient in Math and 66% in Reading. Hanes Middle School is a STEM magnet school serving 799 students in grades 6 to 8, with a student to teacher ratio of 15 to 1. The school’s curriculum is focused around math, science, technology, and pre-engineering. Student growth score for Hanes Middle School is 83.6, placing it in the top 70th percentile of 2,368 North Carolina public schools. Based on state test scores, 59% of students are proficient in Math and 62% in Reading. The Arts Based School is a top-rated charter school that serves 518 students in kindergarten to 8, with a student to teacher ratio of 15 to 1. Located in downtown Winston-Salem, The Arts Based School is reputed for its curriculum centered in the arts, teaching the NC Standard Course of Study through music, dance, drama, and visual arts. Based on state test scores, 57% of students are proficient in Math and 66% in Reading. Salem Academy is a boarding and day school for high school girls in Winston-Salem, NC. Located near historic Old Salem, Salem Academy is one of the oldest girls’ boarding schools in the nation, sharing its campus with Salem College. The average graduation rate is 100% and the student to teacher ratio is 5 to 1, whereas the national level is 17 to 1. The Class of 2017 had a 100% college acceptance rate and earned more than $3 million in scholarship offers. Recent graduates from Salem Academy have enrolled at top colleges and universities, such as Duke University, the University of Southern California, the University of California, Pennsylvania State University, Washington University in St. Louis, and Salem College. Atkins High School is the newest STEM magnet school in the WS/FCS district, serving 718 students in grades 9 to 12, with a student to teacher ratio of 15 to 1. The school now ranks first among high schools in Forsyth County and 31st best in the entire state of North Carolina. Freshman students select a major course of study from six areas, including Biotechnology, Health Sciences, Engineering, Scientific Visualization, Video Game Design, and Digital Media. Majors may be switched after their freshman year. Based on state test scores, 67% of students are proficient in Math and 78% in Reading. The average graduation rate in this school is 95%. Early College of Forsyth is another reputable magnet school located on Silas Creek Parkway. Serving 219 students from grades 9 to 12 with a student to teacher ratio of 23 to 1, the school allows its students to take college level courses in the associate arts program during their freshman year. Based on NC state test scores, 85% of Early College of Forsyth students are proficient in Math and 90% in Reading. The average graduation rate in this school is 90%. Wake Forest University is a private institution with a total undergraduate enrollment of 5,102. Comprised of six schools, Wake Forest offers graduate programs, including the prestigious School of Law, School of Business, and School of Medicine. Undergraduates are enrolled in either Wake Forest College or the business school. Over 60% of its students participate in Wake’s study abroad programs offered in more than 70 countries all over the globe. The student to faculty ratio at Wake Forest University is 11 to 1, with 57.3% of its classes having less than 20 students. The most popular majors at Wake Forest University include Social Sciences, Business, Management, Marketing, Communication, Journalism, Psychology, and Biological and Biomedical Sciences. The acceptance rate at Wake Forest University is 28% and the average freshman retention rate is 94%. Salem College is a private Moravian college located in Winston-Salem, North Carolina in the Greensboro Area. It has an acceptance rate of 57%, with an enrollment of 673 undergraduate students, and the average freshman retention rate is 80%. 86% of full-time undergraduates receive need-based financial aid, and the average scholarship or grant award is $16,964. Popular majors in the college include Communications, Business, and Education. The average graduation rate is 57%, and Salem alumni have a median starting salary of $30,100. 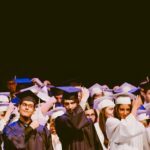 If you are keen on moving to Winston-Salem, North Carolina with your children, this list of the best schools in the area can help you decide where to enroll them. 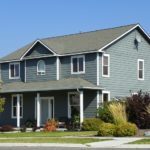 And, if you’re considering buying a home in Winston-Salem, we can provide you with the best home options in the area given your preferences and budget. Just give us a call at 336.978.474 or send us an email at [email protected] and we will get back to you the soonest possible time. This is a very exciting time for you and we are here to give you the help that you need!